Master Bathroom turned rejuvenating getaway. With cylindrical wall sconces and key west style cabinet pulls the roundness of the design creates a soothing atmosphere. 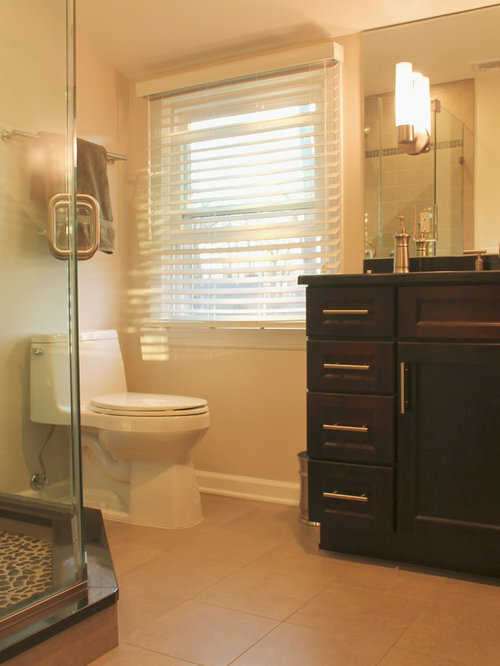 With a linear drain and one piece toilet, the necessities are upgraded and modernized. This master Bathroom have a smooth and simple appearance. The cylindrical wall sconces tie through to the key west style cabinet pulls and even to the smooth rounded edges on the new one piece toilet. The earthy tile floor along with the river rock shower floor create a natural feel and a rejuvenating space. 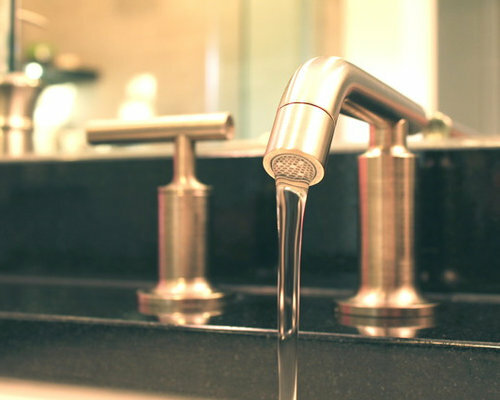 This is the Kohler K-14410-4-BN Purist Two Handle Widespread Bathroom Faucet 1.2 GPM. A clean looking faucet against a black granite counter top. 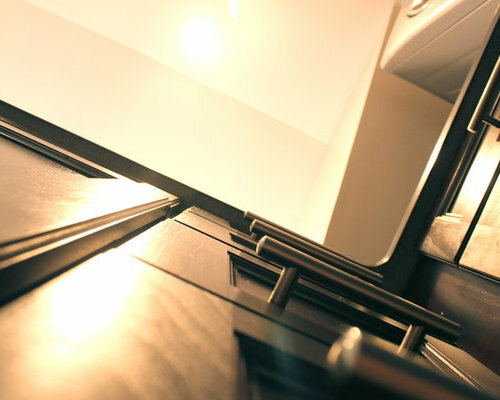 Cylindrical Key west style pulls on dark gray flat panel cabinet drawers. 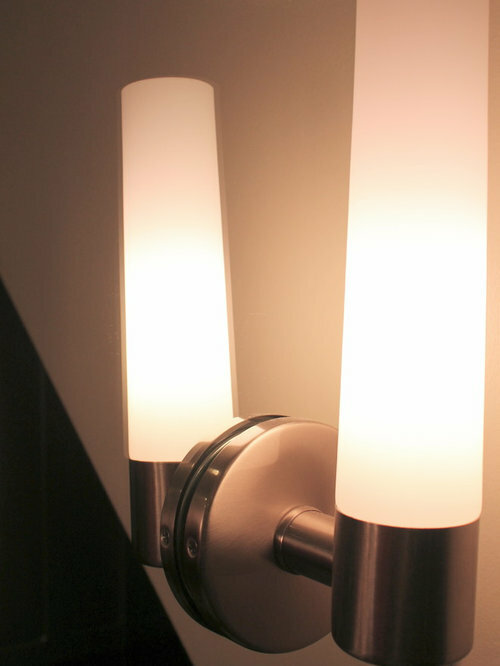 A clean cylindrical wall sconce provides the perfect atmosphere to this new master bath. 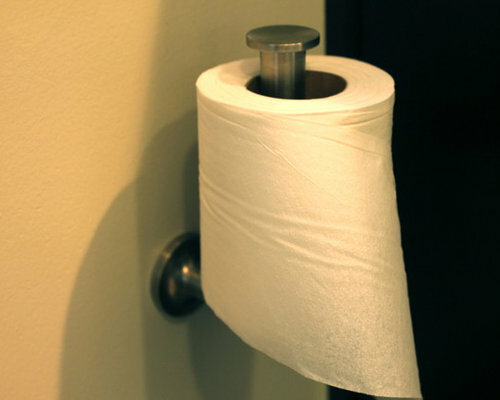 All the way down to something as simple and easily overlooked as a toilet paper holder. 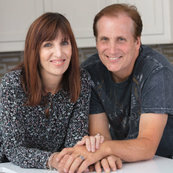 Kraftmaster renovations along with their designers at Kitchen intuitions focus in on the details. 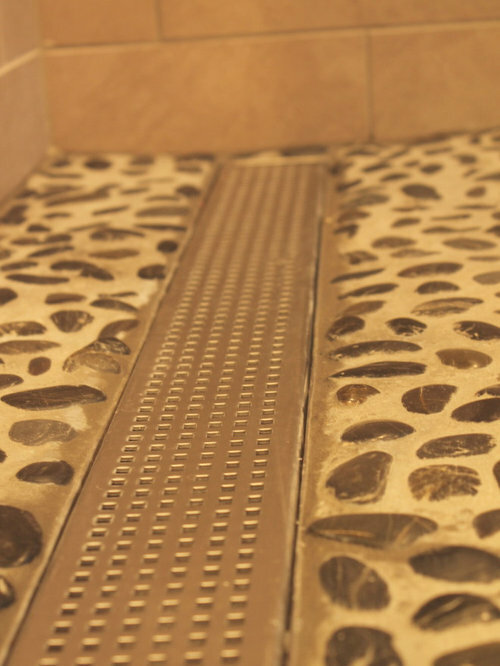 Linear Drains are sleek and clean looking. The slop of the shower floor is able to have just one eased slop the drain that stretches across the floors edge. Tight on space? 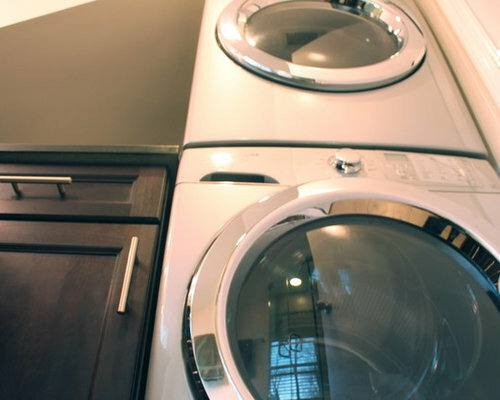 Use a stack-able washer dryer. By stacking your machines, you may have just enough room to add a counter with some storage below.